Prodir and Avenir were destined to cross paths. 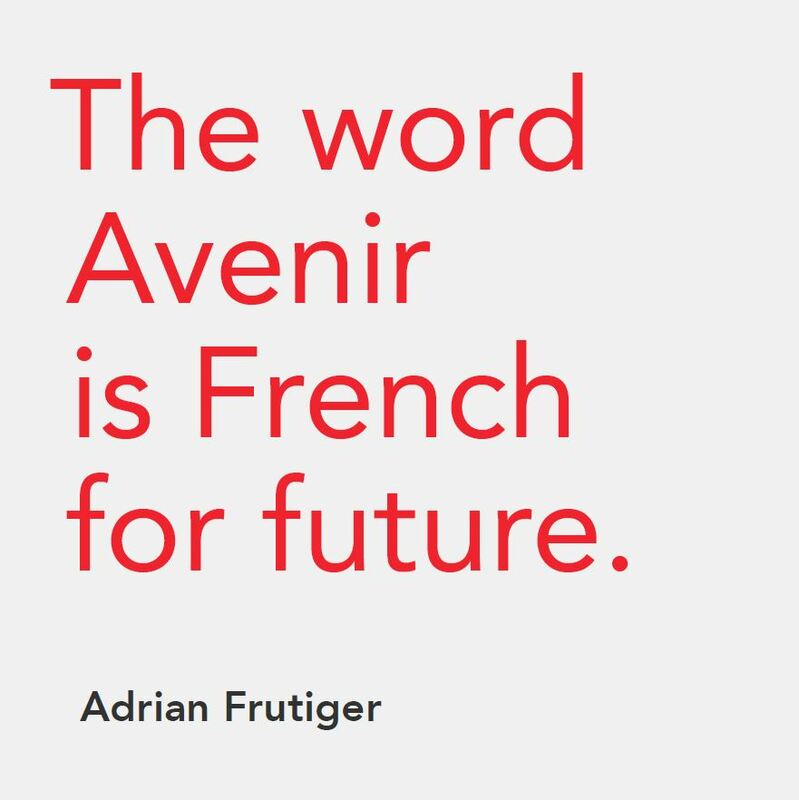 The French word ‘avenir’ means future, but when Adrian Frutiger, born and educated in Switzerland, designed Avenir for the Mergenthaler Linotype Company, he was thinking of a perspective, rather than the future. In the year 1988, Frutiger took inspiration from early twentieth-century style to create a font family that would anticipate the century to come. He had already made a name for himself on the historic panorama at the time with the success of Univers. A perfectly modernist sans-serif typeface, Univers went beyond the caricatural style of the previous century, as well as the more geometric designs of the 1930s such as Futura and Erbar. Designed in Paris, the font family included 21 variations conceived within a programme that assigned a numerical index to each variant. This aspect attracted the many typographers who were interested in the possibilities offered by a logically determined design, while its elegance was the result of traditional design work involving a series of small adjustments, closely tied to the Swiss idea of artisanal manufacture. The relatively small dimension of the capital letters allowed different languages to produce blocks of text in the same colour, an extremely popular visual effect in multilingual Switzerland. It was 1961. 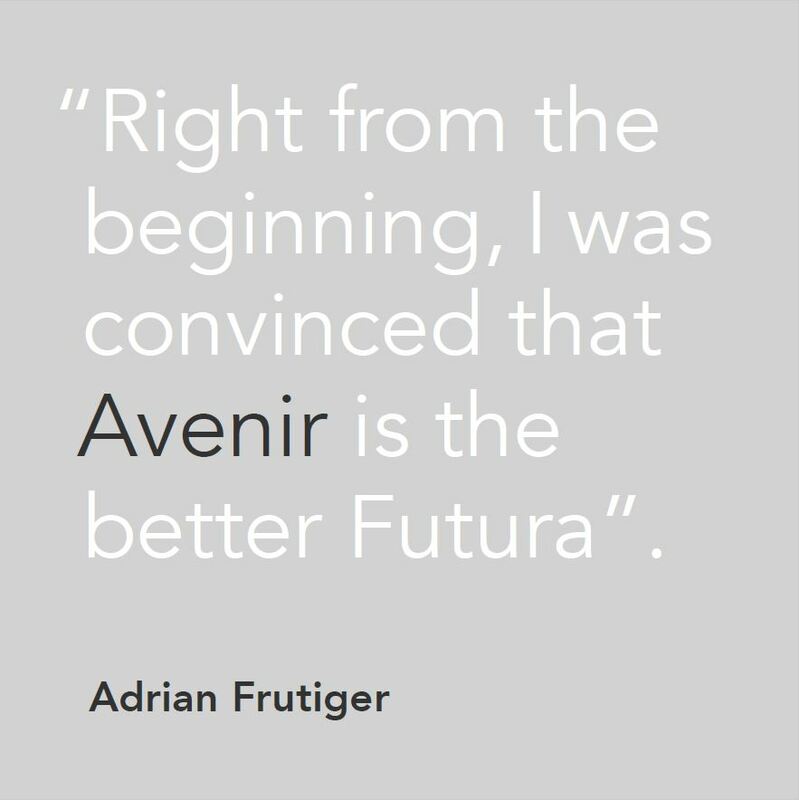 It was Univers that propelled Adrian Frutiger towards his future. This universal typeface was the experience and creative process that allowed him to go one step further, develop his thinking and create a new font family that would embody personalisation, readability and beauty, eternity and the future. 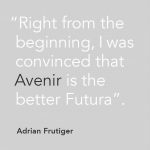 Adrian had a goal and he achieved it: he designed Avenir, a typeface free from the geometric confines that had defined modernist graphic design since the 1930s. This was not a betrayal of his origins and training: just like his predecessors, Frutiger believed in a new functional, organic and elementary typeface. Something that would be suitable for square formats with multiple columns and could adapt to translations, which was more relevant in Switzerland than most other countries. 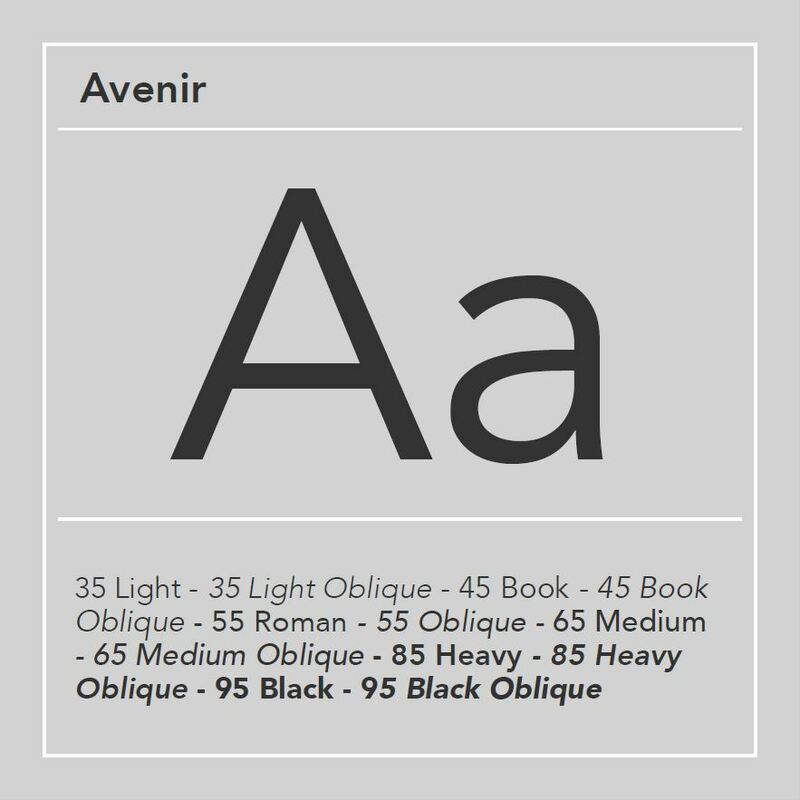 Finally, just like Helvetica and Univers, Avenir had simple curves and was available in different weights. From the very beginning, Avenir was perfectly suited to the clear visual expression of words and ideas. Courageous, different, avantgarde, forward-looking and Swiss. And we had no doubt in our mind when choosing a typeface for Prodir. 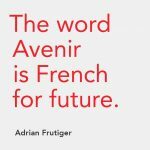 We knew that Prodir and Avenir would have plenty to talk about in the future. Or, rather, to write about.